Description: Powder Mountain Ski Area and the adjacent Powder Ridge Village condominiums are located at 8,200-8,800 feet in mixed coniferous and aspen forest at and above the tree line along the Weber/Cache County line. Directions: From I-15 exit 344, turn east onto SR-39 and drive through Ogden Canyon. At the head of the canyon, turn left (north) onto SR-158. 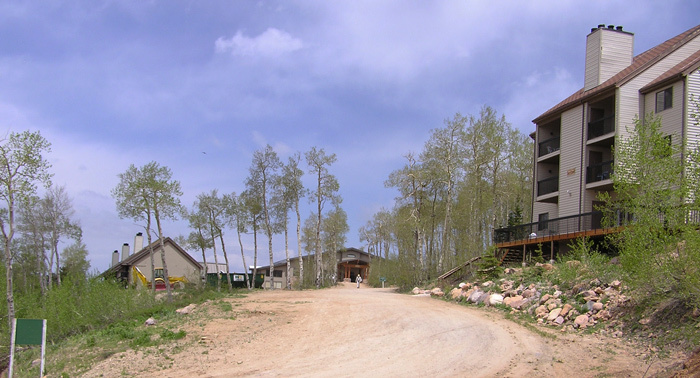 The highway ends nearly 12 miles later at the main base lodge of Powder Mountain Ski Area. Turn right just before the ski area parking lot onto a dirt road and drive a mile higher to Powder Ridge Village. The STOP PRIVATE PROPERTY signs on the dirt road are directed at skiers and snowboarders who are attempting to do a self-shuttle off the road without a lift ticket. You may proceed to the condominiums. Birds: Winter: Gray-crowned and Black Rosy-finches at the feeder at Powder Ridge Village. Also, Clark's Nutcrackers, Steller's Jays, Red Crossbills, Pine Grosbeaks. Summer: Dusky and Ruffed Grouse, Northern Saw-whet and Flammulated Owls, Williamson's and Red-naped Sapsuckers, Hairy Woodpeckers, Nutcrackers and Jays, Red Crossbills, Green-tailed Towhees. Other: Not recommended when snow/ice cause hazardous driving conditions, in combination with ski area traffic. 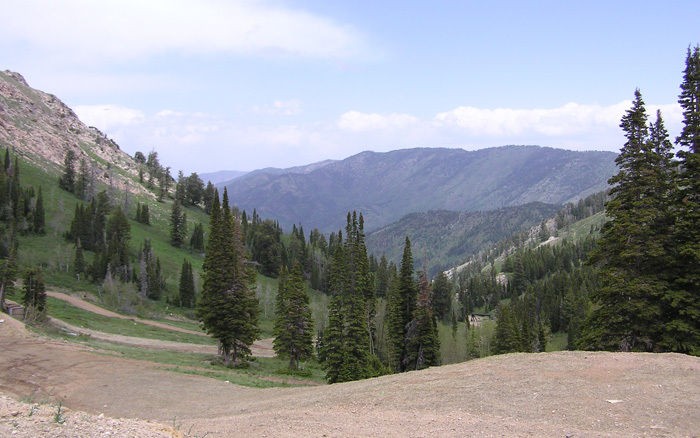 The last four miles of SR-158 is the steepest paved road in Utah and using a low gear on the way down will preclude burning out your brakes. In winter, drive to the condos for the rosy-finches and other feeder birds. 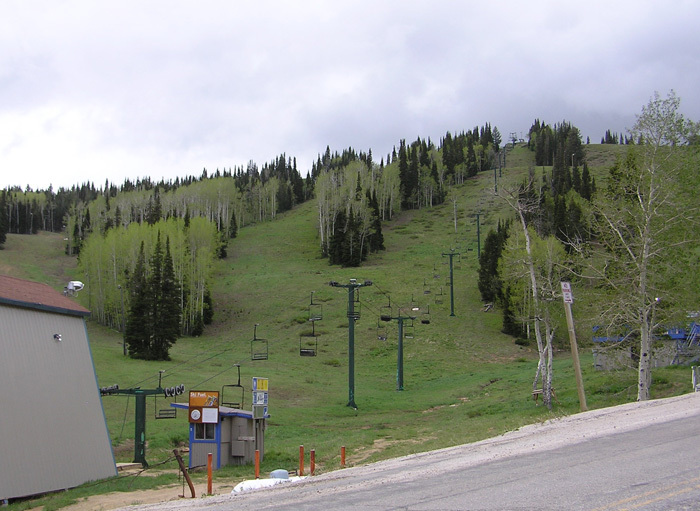 In summer, bird Powder Ridge Road up to the the condos and within the resort on ski trails. 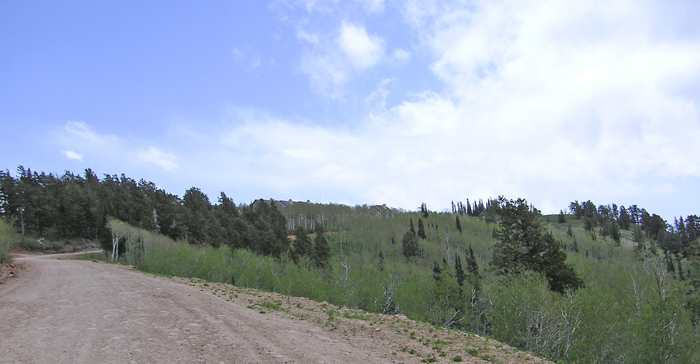 You can also walk the road through the private home area to the top of the ski school area and continue up to Lightning Ridge, the ridge above the private homes.